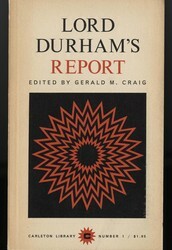 The Act of Union was first recommended by Lord Durham in the "Durham Report". He suggested that the French and British colonists should be self-governed and had also suggested that the French colonists should assimilate with the British colonists so when they become self-governed they can become one colony. Lord Durham wanted to make the French eventually to take up the British culture so the British would be the majority. In 1841 the Act of Union took place, a year after Lord Durham had died. The Act of Union had most of Lord Durham's suggestions, the same appointed council and elected assembly was kept, not allowing the Canadians full say in the government. There were still people elected to represent, but instead of having representatives based on population there was an even number of them. The French had to assimilate with the British colonists creating one large colony from the former Upper and Lower Canada. The British was left with most political power, with the same appointed council and elected assembly. 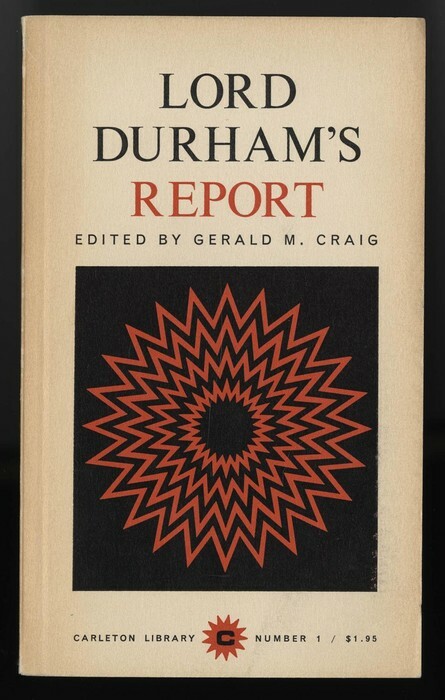 Also, Lord Durham suggested that the number of representatives from both Canada West and Canada East were based on population, however because the French population was greater the British government wanted the amount of representatives the same. The French thought that it was unfair how they were treated after the Act of Union, so the Canadian Confederation happened. After the confederation the British and French moved to different provinces. The British went mostly to Ontario and west while the French mostly stayed in Quebec. The Canadian Confederation had the British sign saying that they will let Canadians have a lot more say in government, while the British Thrown is more of a guardian. The Act of Union is important because of it's flaws and possible wars that all led to the Canadian Confederation. It had a political deadlock, meaning because both the British and French had equal say in what happens nothing got done. For them to make multiple colonies instead of just the Province of Canada would improve trade with the new railway system and would also boost the economy. Outside of Canada the U.S. had stopped the tax free trade into the States that had benefited Canada. The U.S. had also threatened for an invasion. This is why the Act of Union is so important to making Canada what it is today, by helping influence the Canadian Confederation. The Battle on the Plains of Abraham, the Quebec Act and the War of 1812 are all important points that lead to the creation of modern Canada. Nelson, Sheila. Conflicts, Changes & Confederation 1770-1867. Philidelphia: Mason Crest, 2006. N. pag. Print. "Shignuts." Shignuts. N.p., n.d. Web. 14 Apr. 2014. "Act of Union 1840." Wikipedia. Wikimedia Foundation, 04 Aug. 2014. Web. 11 Apr. 2014. "Canada East: Before the Central Government." -- Kids Encyclopedia. N.p., n.d. Web. 14 Apr. 2014. "Canadian Confederation." Wikipedia. Wikimedia Foundation, 04 Sept. 2014. Web. 10 Apr. 2014.